Creates a great focal point to any garden entrance. Many sizes for sale at a discount price. Constructed to a high standard the Cherbourne Wooden Side Gate features a shallow arch top to provide improved aesthetics whilst the sturdy framework maintains strength. Suitable for any residential application where added privacy and security is required this excellent value timber gate will add a timeless look to any setting making it perfect for both modern and traditional properties. Timeless gate design creates a wonderful focal point to any outdoor space. Subtle traditional styling adds charm and character. 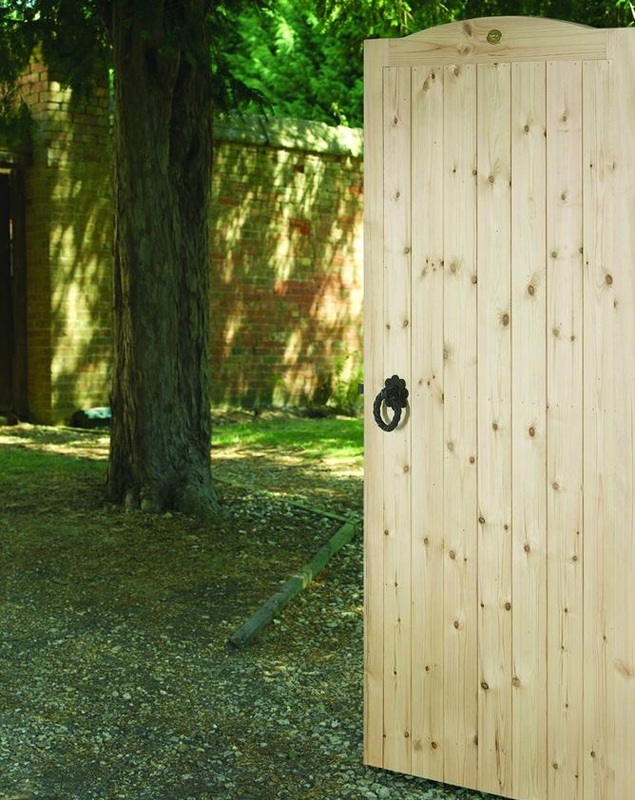 Cherbourne wooden gates feature 44mm x 95mm mortise and tenon jointed framework and 95mm x 14mm tongue and groove timber boards. 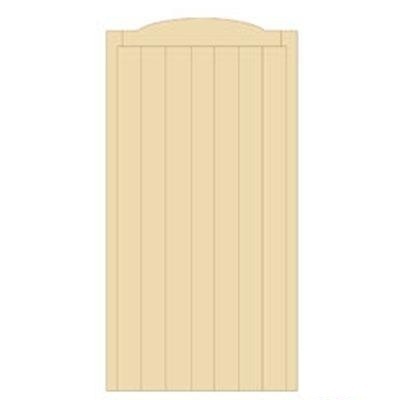 Supplied in a smooth planed finish ready for finishing to the colour of your choice prior to installation. Hinges and fittings for the Cherbourne wooden gate must be purchased separately. Need advice prior to ordering Cherbourne Wooden Gates Online? 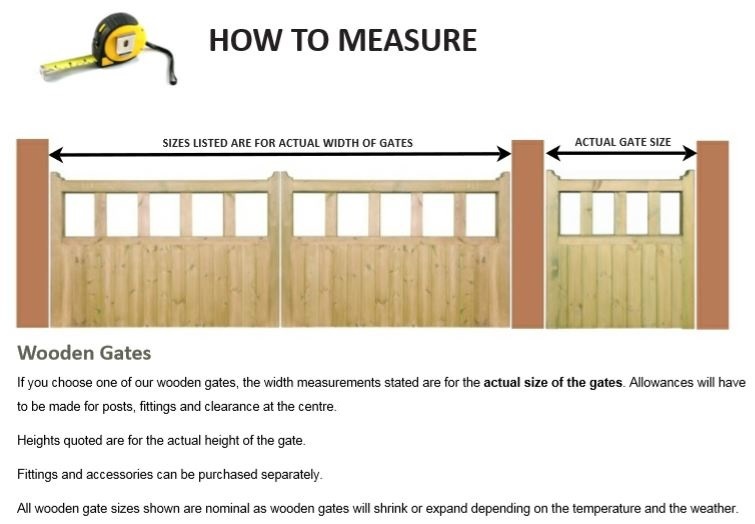 For impartial advice call Garden Gates Direct now on 0844 804 5577 or send us a message here. You can also email your enquiry to sales@gardengatesdirect.co.uk and we will be on hand to send you a reply as soon as possible. To find more information online we recommend that you read the ordering guide, buying guide and frequently asked questions. For assistance with installation issues take a look at the pages detailed below. If you need to purchase additional items to complete your wooden gate installation we recommend using the items detailed below. If you do not know what to order or size of hinges to choose please call 0844 804 5577 or email sales@gardengatesdirect.co.uk and a member of staff will be on hand to offer support and solutions.